Other Released Names: Only released under this title. 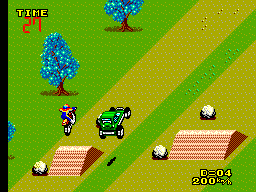 The games contained on this cartridge exist in separate formats, this is a multi-cart. Only one cover is known to exist. SUPER CROSS: Get ready to go face to face with trees, rocks, hills, riders, and landscapes of some of the most dangerous tracks in the world. You need to be stronger than all of this to reach victory! 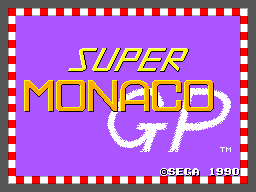 SUPER MONACO GP: Be prepared! 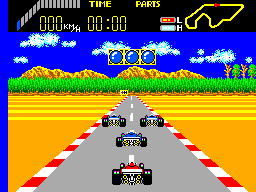 You're about to burn rubber in your attempt to be the best against the best drivers in your Formula 1. Break ahead to reach the front in some of the most famous and dangerous circuits in the land. WORLD GRAND PRIX: You're about to face some of the biggest races in the world to gain millions in prizes - but don't spend it all on cartridges. You'll be spending it on parts for your car to be the best driver the world has ever seen!